Travelers are so tethered to their smartphones, tablets, and laptops these days that they expect to get free, high-speed Wi-Fi when they get to the airport. But the speed, quality, and effectiveness can vary drastically, depending on the airport and sometimes, even the terminal. What most travelers don’t understand is that it costs airports millions of dollars to install and maintain their Wi-Fi infrastructure. It’s a structure that not only supports travelers, but it also supports airline tenants, concessions, and the airport’s own operations. So it’s a constant challenge for airports to offer strong wireless systems that support the needs of passengers and operations. Travelers can get a basic tier of service for free, said Ewalt. “They can also pay for a premium tier of Wi-Fi at faster speeds,” he said. Boingo’s version of this is Passpoint Secure, where customers can create a profile that provides automatic login to secure its networks, eliminating the need for login screens, web page redirects or apps with a fast connection on a WPA2 encrypted network. Boingo understands that there is a growing demand for Wi-Fi access, said Ewalt. “We look ahead so we have expectations of what that will look like in three years, and make the adjustments to our network and infrastructure to support that growth,” he said. Internet testing and metrics company Speedtest by Ookla took a look at the best and worst Wi-Fi at the top 20 U.S. airports based on passenger boardings. The company looked at data at the four largest carriers: AT&T, Sprint, T-Mobile, and Verizon, along with airport-sponsored Wi-Fi at each location and based on data during the last three months of 2016. 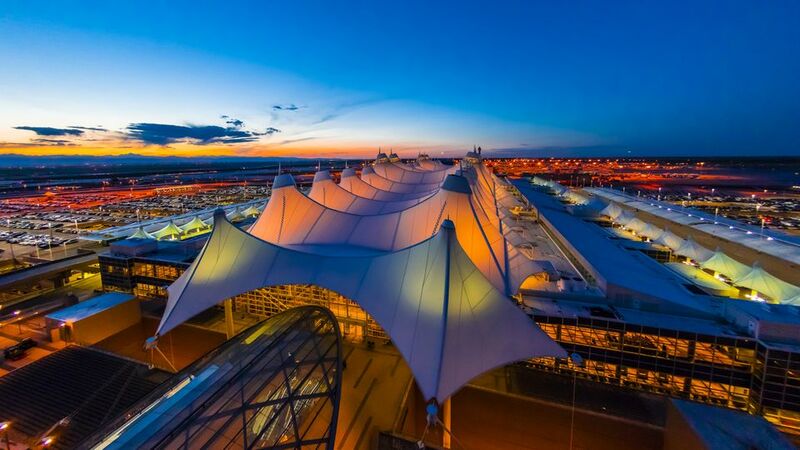 The top five airports with the fastest upload/download speeds are Denver International, Philadelphia International, Seattle-Tacoma International, Dallas/Fort Worth International and Miami International. At the bottom of Ookla’s list was Hartsfield-Jackson, followed by Orlando International, San Francisco International, Las Vegas’ McCarran International and Minneapolis-St. Paul International. Oookla encouraged airports at the bottom of its survey to try and boost benchmark speeds rather than go for incremental increases. “Orlando International, in particular, could benefit from a large investment in Wi-Fi, because although they show the second highest percentage increase, the resulting average download speed still is not at all serviceable for anything beyond basic calls and texts,” said the study. But it wasn’t all bad news. Ookla found that at 12 of the 20 busiest U.S. airports, Wi-Fi download speed increased between the third and fourth quarters of 2016. It noted that JFK airport for more than doubled its Wi-Fi download speed, while speeds in Denver and Philadelphia continued to improve because both facilities have invested significantly in their Wi-Fi. It also lauded Seattle-Tacoma for posting a strong improvement on an already above-average speed. Below is a list of Wi-Fi available at the top 20 airports targeted in the Oookla report, along with details of where it’s available and how much it cost, where applicable. Denver International Airport - free throughout the airport. Philadelphia International Airport - available free in all terminals, provided by AT&T. Seattle-Tacoma International Airport - free access in all terminals. Dallas/Ft Worth International Airport - the airport offers free Wi-Fi in all terminals, parking garages, and gate-accessible areas. Travelers must give their email to sign up for the airport’s email newsletter. Miami International Airport - Access to websites for airlines, hotels, rental car companies, the Greater Miami Convention and Visitors Bureau, MIA and Miami-Dade County is now free through MIA's WiFi network portal. For other sites, the cost is $7.95 for 24 continuous hours or $4.95 for the first 30 minutes. Chicago O'Hare International Airport - travelers get free access for 30 minutes; paid access is available for $6.95 an hour $21.95 a month via Boingo. Newark Liberty International Airport - free after watching a sponsored ad, via Boingo. John F. Kennedy International Airport free after watching a sponsored ad, via Boingo. Houston’s George Bush Intercontinental Airport - free Wi-Fi in all terminal gate areas. Detroit Metropolitan Wayne County Airport - free in all terminals via Boingo. Los Angeles International Airport - traveler get free access for 45 minutes; paid access is available for $7.95 for 24 hours via Boingo. Charlotte Douglas International Airport - free throughout the terminals, via Boingo. Boston-Logan International Airport - free access throughout airport via Boingo. Phoenix Sky Harbor International Airport - free Wi-Fi is available in all terminals on both sides of security, in most retail and restaurant areas, near the gates, and in the lobby of the Rental Car Center, all offered by Boingo. Minneapolis/St Paul International Airport - free in terminals for 45 minutes; after that, it costs $2.95 for 24 hours. McCarran International Airport - free throughout all public areas. San Francisco International Airport - free in all terminals. Orlando International Airport -- free in all terminals. Hartsfield-Jackson Atlanta International Airport - the world’s busiest airport now has free Wi-Fi via its own network.